I love my two large dogs, but with both of us working full time and three kids, there just isn’t time to pick up after them ourselves. We have been using Scoops for many years and their reliable and affordable service is just too great a deal to pass up! And the bonus is that our lawn looks better than ever because they keep it nice and clean. Thanks Scoops! Thanks Matt from Scoops Dog Waste Inc. for coming out in this awful weather and trekking out in my slop mess of a backyard, decided the dogs wouldn’t keep you company out there even though they wanted to. I have used Scoops for a few years now and they are absolutely fantastic! 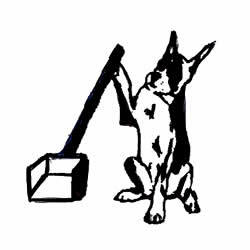 With reasonable prices and flexible scheduling, I highly recommend them for your dog waste removal. I have multiple dogs and a very large yard, so needless to say, they’ve made my life a lot easier! If I wasn’t moving across the country I would use them forever! Thank you for everything, Matt & Ellen! GREAT service. Nice employees. VERY efficient – #1 in the #2 business. Your service is SUPERB in your absence ! I LOVE it. THANK you for GREAT service ! Thank you for the wonderful service !! !